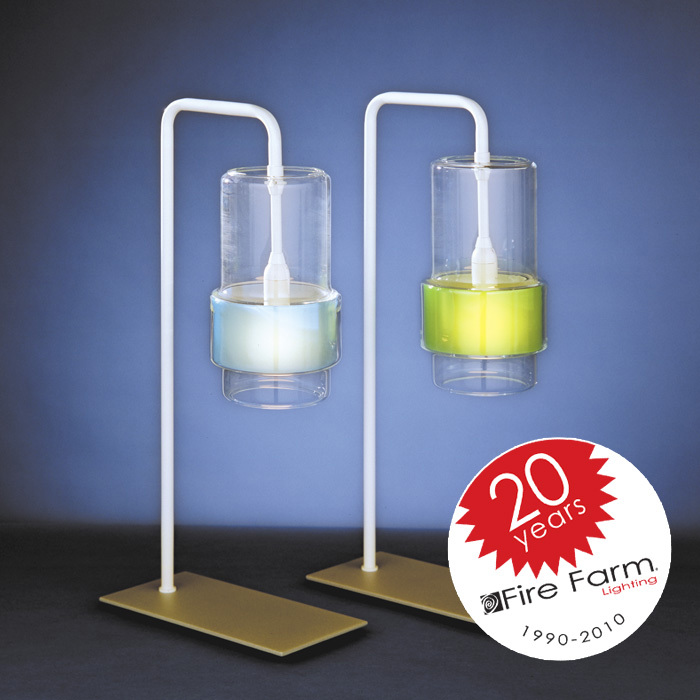 Continuing our foray into Fire Farm's lamp history, we come upon the delightful Verushka table lamps and pendants, designed by Boris Jeanrenaud, and introduced to the Fire Farm line in 2001. 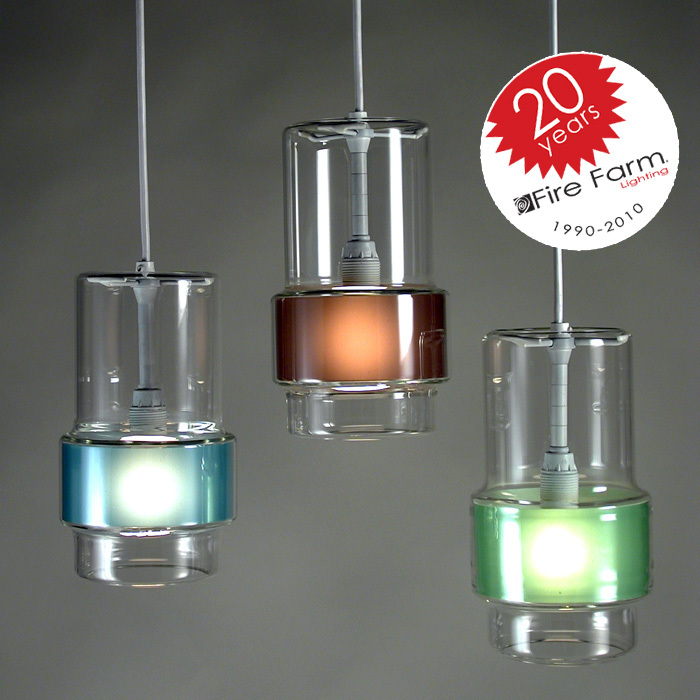 Bold yet rigorously minimal, the Verushka lamp is the modern line distilled to its essence. Color Options: Powder Blue, Apple Green, Brown, Purple, or Cobalt Blue. * Archived lamps are no longer in production. However, if you absolutely love something in the Archives, it's possible we may have some parts still available, or may be able to apply what you love in a new design. Just ask!